Funding for this project enabled LTS to digitize and publicize a series of oral history interviews. Lehigh University students and faculty conducted these interviews from 1974 through 1977 focusing on retired Bethlehem Steel workers, business people, and the heirs of industrial magnates. 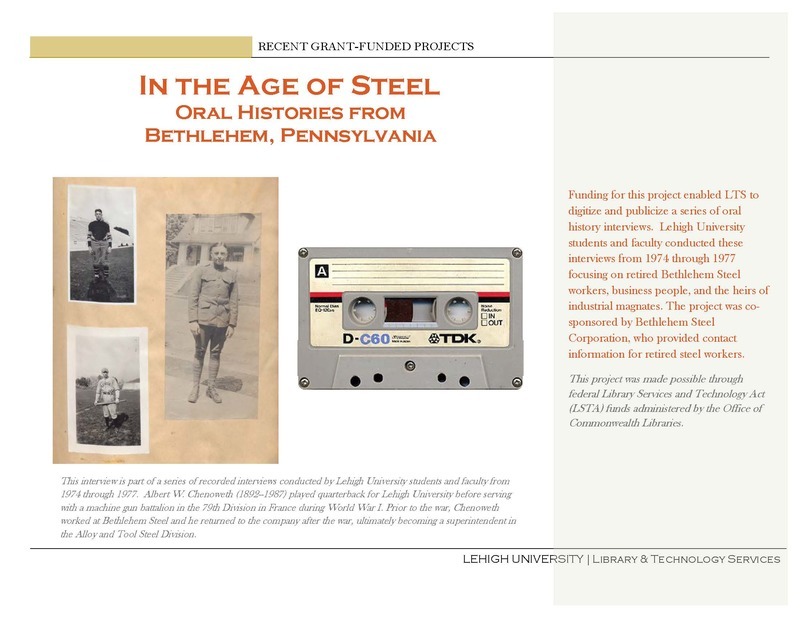 The project was co-sponsored by Bethlehem Steel Corporation, who provided contact information for retired steel workers. This project was made possible through federal Library Services and Technology Act (LSTA) funds administered by the Office of Commonwealth Libraries.